Large chrome brackets for fixing glass shelves to wall.4mm-10mm glass thick, sold in pairs. Max Width 800mm between Brackets. 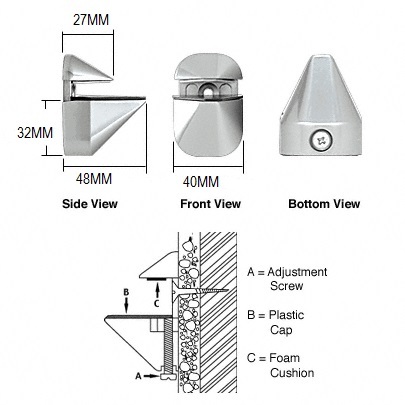 Description Large chrome brackets for fixing glass shelves to wall 4mm-10mm glass thick only.